- The dual-type lip chalk expresses white pastel color and intricate lip-lines. - Ingredients such as Vitamin E, Shea Butter, Pomegranate, Grape Seed, and Euterpe oleracea Fruit Extract make color last long and provide moisture and nourishment. - The silky-smooth application keeps makeup fresh for long hours without any sticky feel. 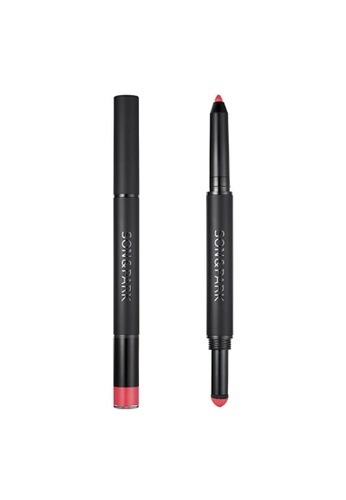 - Creates simply a seductive full-out pout or naturally luscious, kissable lips with gradation effect. Can't find SON&PARK Two Way Lip Chalk (Cherry #04) in your size?